Guatemala - 2018/02/12 - The International Olympic Committee (IOC) awarded Maria Borello, Chair of the Women in Taekwondo Committee and WT Council Member, a diploma recognizing her work and effort done in benefit women in need. MasTKD Español. The IOC sent the Women and Sports diploma to the Guatemalan Olympic Committee (COG) to be awarded to the Argentine-Guatemalan María Borello, who, for more than 20 years has represented the Pan American Taekwondo in the WT as a member of the Executive Council. The certificate was officially awarded on February 8 and it is signed by the IOC President, Thomas Bach. 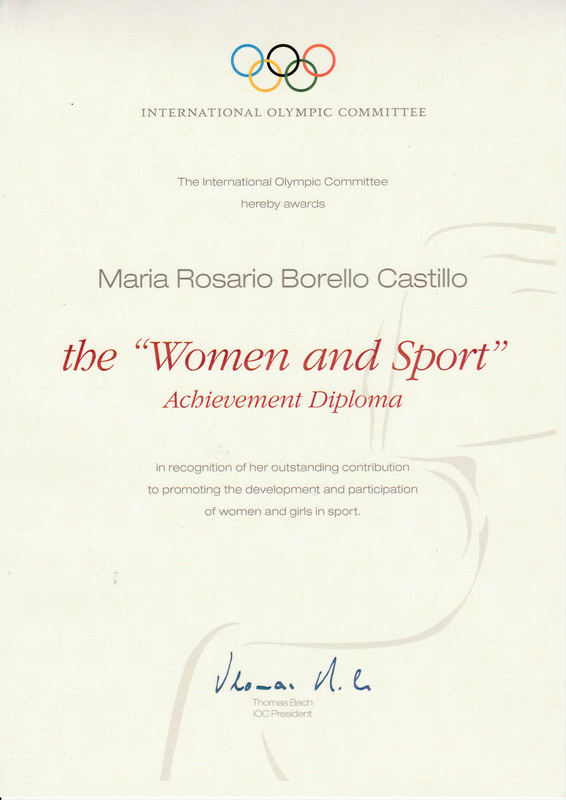 The diploma says: ”in recognition of her outstanding contribution to promoting the development and participation of women and girls in sports”. Borello, besides being a member of the Executive Board, also leads the WT Women in Taekwondo Committee. María Borello, promoted projects seeking equality for indigenous women, such as the Tipulcan Project, being held in San Pedro Carchá, Alta Verapaz located at 221 kilometers north of Guatemala City, where Q’eqchi Mayan girls receive Taekwondo classes. Additionally, Borello went beyond and also developed social programs such as bringing the modern martial art to the prisons as a social reintegration program. She also implemented the “Kicking Cancer” program, focused on children suffering from cancer. Borello also focused on making Taekwondo inclusive, which allowed Guatemala to have representation in almost all world championships, including junior, senior, poomsae and para Taekwondo categories. “I am very grateful to the IOC and its president Thomas Bach. I am excited to continue working as I have done it for the last years. (…) This award is a reflection of an articulated work among many people and institutions that seek to develop quality of life through sport, in this case Taekwondo, an area in which we have put vast efforts to empower women, protect and train them. 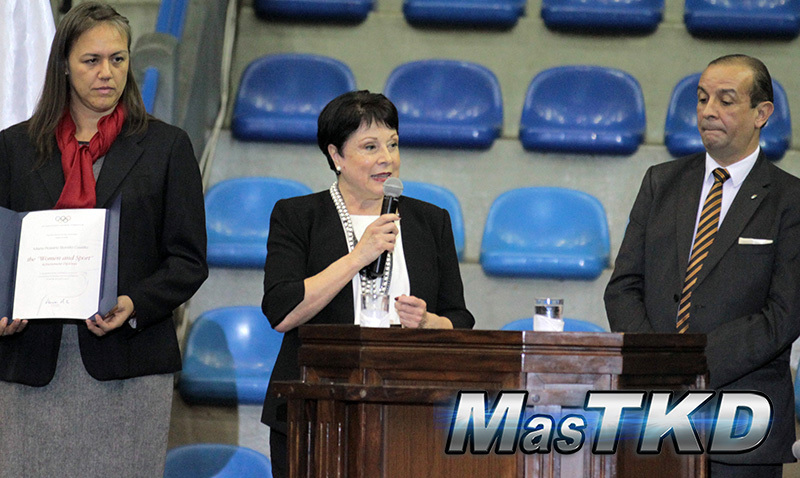 Our objectives are to give peace and knowledge to all people regardless of their condition” said the vice president of the Pan American World Taekwondo, Maria Borello.